We are counted among the most reliable Manufacturers and Suppliers of Frozen Mahi Mahi Fish in Bangalore, Karnataka. Our Mahi Mahi Fish is stored in hygienic conditions ensuring purity and high quality. We provide fish that is fresh and quality tested by controllers. 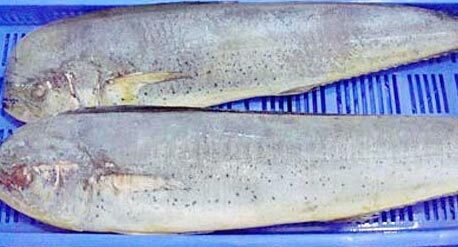 We make available Frozen Mahi Mahi Fish in different quantities as per the requirement of buyers. We believe in delivering Mahi Mahi Fish within the promised time frame.